Reducing CO2 concentrations and air pollution in the atmosphere. “This paper is making a bold suggestion that not only can China move towards negative carbon power but that it can do so in an economically competitive way,” said Michael McElroy, the Gilbert Butler Professor of Environmental Studies at Harvard and a senior co-author of the paper. 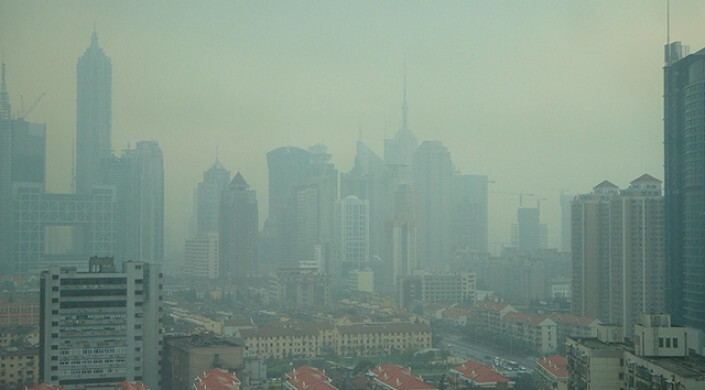 “The system we describe not only offers a carbon-negative alternative to generate electricity in the long run but also brings significant near-term co-benefit to reducing air pollution in China,” said Xi Lu, Associate Professor in the School of Environment at Tsinghua University and first author of the paper. Lu is also a former SEAS graduate student and postdoctoral fellow. The strategy McElroy, Lu and their colleagues lay out involves the combination of two forms of green energy: coal-bioenergy gasification and carbon capture and storage. Bioenergy one of the most important tools in the carbon-negative toolbox. Bioenergy comes from the best CO2 scrubbers on the planet — plants. As most of us learned in grade school, plants use photosynthesis to convert CO2 into organic carbon and oxygen. The carbon stored in plants can be converted back into energy through combustion (a.k.a., fire); fermentation, as in the production of ethanol; or through a process known as gasification, which converts carbon-rich materials into carbon monoxide, hydrogen and carbon dioxide for fuels and industrial chemicals. The process of converting biomass into energy and then capturing and storing the waste CO2 is one of the most talked-about strategies for negative carbon power. It’s known as BECCS, bioenergy with carbon capture and storage. The problem is, in most applications BECCS is not very efficient and requires massive amounts of land to grow the plants needed to power the planet, which would likely result in global food and water shortages. But what if there was a way to make the process more practical and efficient? Lu, McElroy and their international team turned to an unlikely solution for green energy: coal. By modeling different ratios of biofuel to coal, the researchers found that as long as at least 35 percent of the mixture is biomass and the waste carbon is captured, the power generated would actually reduce CO2 in the atmosphere. At that ratio, the researchers found that the levelized cost of electricity would be no more than 9.2 cents per kilowatt hour. A carbon price of approximately $52 per ton would make this system cost-competitive with current coal-fired powerplants in China. A key component to this strategy is the use of crop residue — the remains of plants after fields have been harvested — as biofuel. Seasonal agricultural fires, when farmers set fire to their fields to clear stubble after a harvest, are a major source of air pollution in China. Collecting that stubble and using it as biofuels would not only reduce CO2 but significantly improve air quality in the country. Gasification also allows easier removal of air pollutants from the waste stream. The researchers acknowledge that developing a system to collect the biomass and deliver it to powerplants will take time but they argue that the system doesn’t need to be implemented all at once. “This study provides critical information for policy makers seeking to implement carbon-negative energy opportunities in China,” said Lu. The research was co-authored by Liang Cao, Haikun Wang, Wei Peng, Jia Xing, Shuxiao Wang, Siyi Cai, Bo Shen, and Qing Yang; lead author Lu and three other China-based co-authors are alumni of the Harvard-China Project. It was supported in part by a grant from the Harvard Global Institute.